Sun Country Sports – Sunny Superstar April 2019 — Laszlo L.
Laszlo was chosen for this honor because of his kind and caring heart, and, of course, his silly personality! 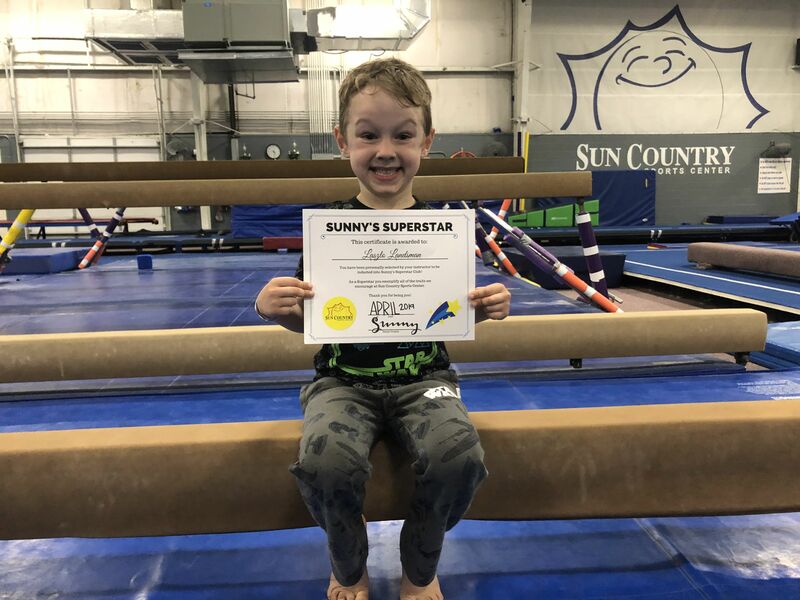 He is a great friend to everyone in his Afterschool, Gymnastics and Swim groups, and is someone his coaches and teachers look forward to seeing everyday. He truly is a superstar! A big thank you to Laszlo for taking the time to visit with us!